Submitted by MarkO on Sun, 2015-03-15 00:47. 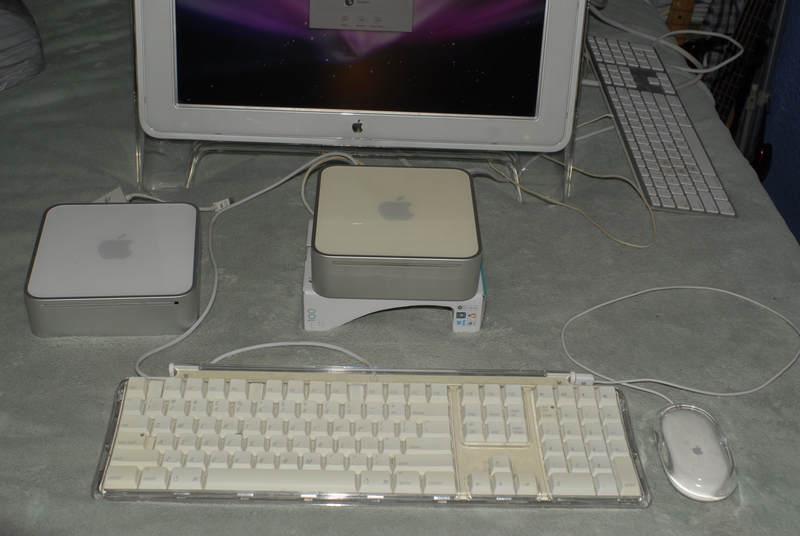 This is the PowerMac 10,1 Model with the 1.42GHz PowerPC G4 (7447A) Processor, expanded to 1GB of RAM, and the 80GB Hard Drive. 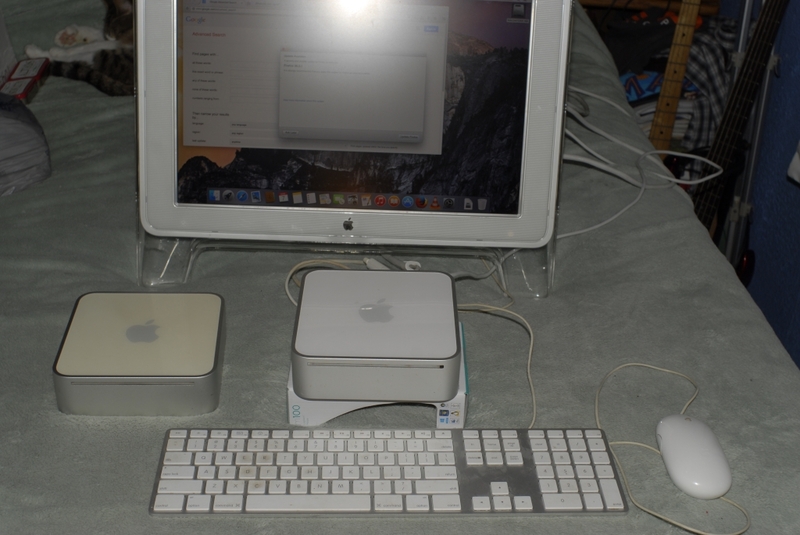 It has the Airport Extreme 802.11b/g and 56k V.92 Modem with Mac OS X 10.5.8 "Leopard"
This is the Macmini3,1 Model with the 2.53 GHz (P8700) Intel Core 2 Duo Processor, expanded to 4GB of RAM, and the 320GB Hard Drive. It has the Airport Extreme Broadcom 802.11a/b/g/n and OS X 10.10 "Yosemite"
A Co-Worker was getting rid of some older Macintosh computers, and he knew I was into older, "obsolete hardware".. I also got one Display, it is a 20" Cinema Display with the ADC connector and a connects to the computer with DVI.